Specialty: Specializes in the integrated treatment of traditional Chinese medicine & Western medicine in liver cancer, lung cancer, prostate cancer etc. Dr. Li Yuanzhong has been committing himself to the cause of integrated treatment of traditional Chinese medicine & Western medicine after graduating from Guangxi University of Chinese Medicine in 1984. 32 years of medical experience makes him a proficient in the field of combination of traditional Chinese medicine and western medicine. 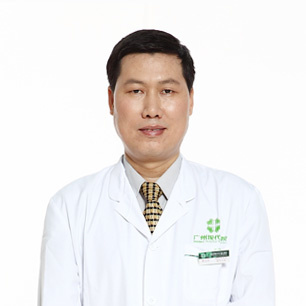 Accumulating a wealth of medical knowledge and clinical experience, Dr. Li is especially good at the integrated treatment of traditional Chinese medicine & Western medicine in liver cancer, lung cancer, prostate cancer etc. With a flexible use of traditional Chinese medicine and Western medicine, he has overcome a lot of difficulties in the treatment of cancer. Motto: "Live and learn, to heal and put patients the first." Devoting himself in medicine for 32 years, Dr. Li is good at the integrated treatment of Chinese and Western medicine in medical diseases and cancer, especially specializes in using Chinese medicine to reinforce the healthy qi and eliminate the pathogenic factors of cancer patients. Effectively reduce the suffering of patients and prolong the survival time of patients’ life, Dr. Li was named to attend Chinese International Symposium of Nutritional Oncology (Guangzhou) in May 4, 2013.